Many of you have noticed some wet snow mixed with the rain--even down to sea level. 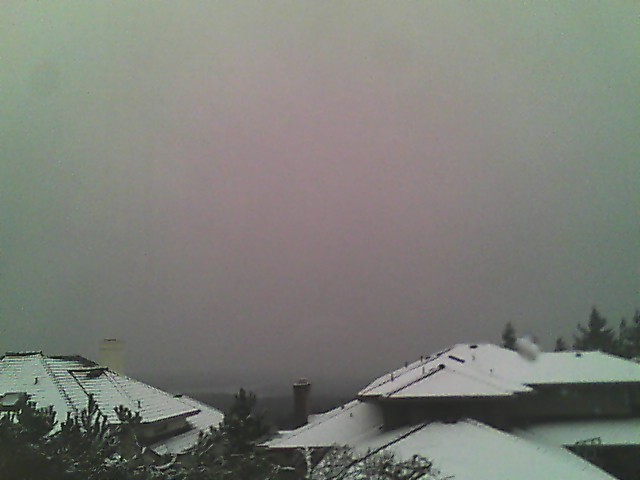 However, the heaviest accumulations occurred where the models suggested: southeast of the Olympic Mountains from Shelton to Silverdale to Quilcene. The reason: temperatures are marginal for snow and only places with heavy precipitation rates allow the snow level to fall to near sea level. More precipitation means more melting, which cools the atmosphere--allowing the freezing and snow levels to descend (keep in mind the freezing level is typically about 1000 ft above the snow level (the level at which all the snow is melted)). 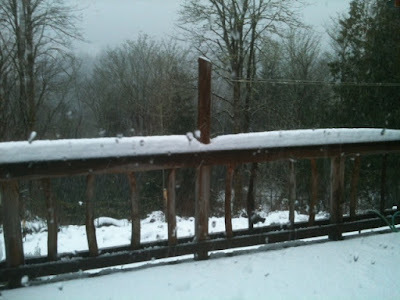 Here are a few nice pics of the snow: one at Dale Ireland's home in Silverdale and the other one provded by Sarah Kirkegaard of Quilcene. Here is the 24-h snowfall ending about 7 AM this morning from the Cocorahs network (click to enlarge). 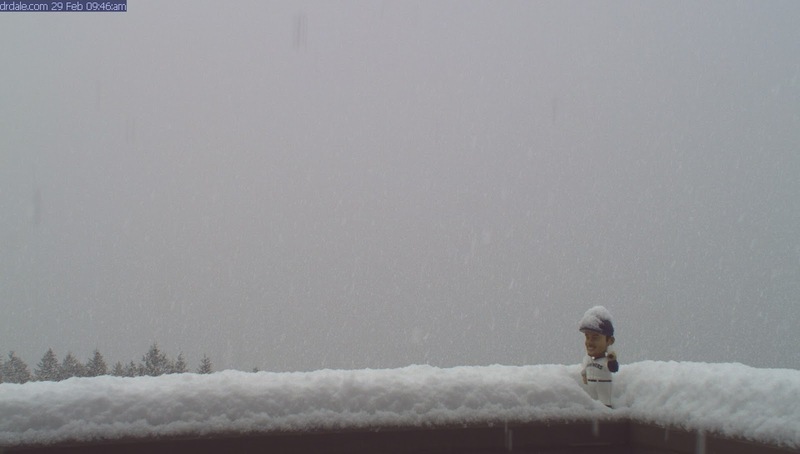 Some folks on the Kitsap Peninsula and eastern Jefferson county got 2-7 inches of snow. Today there was a good example of something we don't see everyday...a Mt. Rainier convergence zone. You know about the Puget Sound convergence zone....air passing around the Olympic barrier and converging on the eastern side...giving a line of clouds and precipitation. Well, Mt. Rainier is big enough to do the same thing....and today the radar indicated a line of precipitation NE of Rainier from the downstream convergence. 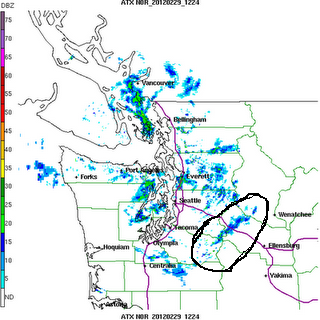 The band stretches SE to NW and cross I90 between Snoqualmie Pass and Cle Elum. Thanks to Colby Neuman of the National Weather Service for pointing this out. Mt. Rainier produces a lot of its own weather...including a rain shadow.